Sorry for missing my update last week. Finals caught me off guard, and it’s been tough to keep up writing consistently. I’m taking a full summer term as you guys know, so there’s a lot of schoolwork to keep up with—5 days a week, with lots of homework. Once this semester is over, I’ll have a four day break and then onto my next term of classes, haha. But I’ve finally finished this chapter, so gave it a once-over and now posting it today. In the rest of my life I’ve kept myself challenged, and alongside my JKD and boxing training, I’ve started taking up weightlifting again to round out my physique. For a long time while I was traveling, I got really used to just doing body weight exercises. Whenever I was in a new city, I would go out one day into a park or some sparsely populated field, and just do pushups, sit-ups, squats, and dips. I’d gotten so used to that since living on the road, that it’s been over a year now probably that I’ve used any weights. But it’s hard to develop a ton of strength off of just body weight exercises, so I’ll see where this takes me. Luckily it allows me to eat a lot more food, which is always a bonus, haha. I’ve kept up paleo pretty well so far now too, which is kind of a surprise to me, since cutting out all grains really excludes most of the standard American diet. That’s okay though. I feel pretty good about it. Mental coaching has been going well and I’ve been getting really good feedback from clients. I’ve decided to raise my rate to $150/hr. Probably once my summer term is finished, I’ll write up something more comprehensive about mental coaching (and I’ll have more time then to devote to it), but for now, if you’re curious feel free to shoot me an e-mail at haseebcoach at gmail dot com. Anyway, without further ado, here is Chapter 4. Hope you guys enjoy. In poker, it is not our opponents against whom we make our decisions. What do I mean by this? Of course, there is a sense in which we make our decisions against our actual opponents. But that sense is the same sense in which poker is a chess match—our opponent is, in a profound way, inaccessible to us. All we have access to is the shadow he throws against us, the schema we can construct of him. When we play poker, we make plays and adjustments not on our opponents, but on our mental models of them. The process of creating predictive mental models is called opponent modeling. The models that we develop in a poker match are fluid and constantly changing. But as we improve as poker players, one of the chief ways in which we develop is being able to construct better and more accurate models of our opponents. I am going to lead you through a step-by-step examination of every aspect of developing a mental model of your opponent, and the common pitfalls that might hinder us along the way. But we must, as always, begin our exploration from the solid, from the real. We must start this exploration at the experience of a poker match itself. You sit down at a table. There’s your opponent. You’ve never seen him before. Here’s your first hand. The action’s on you. Of course, we’ve been in this situation thousands of times. But we fail to notice how special this first hand is. The first hand is not only where you have to make an initial read on your opponent, but it’s also the only point in the match that is completely tabula rasa—where you know absolutely nothing about your opponent. So what do you do? Well, you obviously act on something. You don’t simply throw your arms up in the air and surrender to your ignorance, and you don’t just throw a dart on the wall and guess wildly what kind of a player you think he’ll be. What you act upon is your standard model. The standard model is basically the mental model you’ve created of the average poker player. In observing all of the poker players you’ve ever played, you slowly accrue and shape your standard model, conditioning it bit by bit over time by all the things you see people do, all the ways they seem to think, until you have in your mind a pretty firm idea of what the average player looks like. Of course, the more experienced and the more observant you are of your opponents, the more accurate this standard model is likely to be as the average opponent. In a way, the moment you sit down at a new table with someone you don’t know, what you face across from you is not your opponent as he truly is. What you are looking at is your standard model of an opponent. It is against this standard model against which you are reacting, upon which you ascribe intentions, and whose hand you are trying to read. Consider this. Imagine you see someone 3-bet the first hand in a match, and you fold. What can you infer about this opponent? If you were looking solely at his stats, you’d see that his 3-bet frequency was 100%. So are you going to play him assuming that he’s literally 3-betting 100% of hands? Technically, in a vacuum, it’s not an irrational conclusion. It seems silly to us of course, but why is it silly? What makes it silly? The reason why it’s silly is because we know that no one 3-bets 100%. 100% 3-bettors do not exist within the population of poker players. Note then, we are not simply using his actions to determine his behavior, otherwise it would be correct to assume he’s 3-betting 100%. Instead, interpret his actions in light of how we know frequencies to be distributed over the entire population. In other words, we are already thinking about the wider population of poker players, and using that as a basis to build our model of our opponent. In statistics, this problem is known as Bayesian updating. Using the average 3-betting frequency, the standard deviation (how wide the distribution of 3-betting frequencies is in the population), and the piece of evidence we’re presented with (our opponent’s 3-bet), we could use Bayesian equations to compute his average 3-betting frequency given the evidence of one 3-bet. To throw out a number off the top of my head, chances are it’d be something about 2% or 3% higher than the average based on this one event. Now, how to play against someone in your first hand might seem like a trivial problem, but this is the origination of how all reads on our opponents work. From the first hand of every match, we begin with another instance of our standard model, like a ready-made figure of clay. With every subsequent decision that we observe in our opponent, we begin to sculpt this figure, departing from this standard model bit by bit—never abandoning it, but only transforming it. Over time enough time and information, this model starts to develop its own distinct personality. We start to see the color of its eyes, the shape of its jaw, and all the various irregularity of detail that makes a real person. It is clearly important then to have an accurate standard model, since the more accurate your standard model is, the better you are able to initially predict your opponent’s play on average. This is the first skill in opponent modeling—before you can model any particular opponent, you must have a clear idea of what the average opponent looks like. First rate players are highly knowledgeable of common leaks, common weaknesses, which they will infer upon and attack in players they don’t know. This is part of what makes them so strong. In order to develop this standard model, you must play a lot of players, and pay close attention to what they do. Over time, you will begin to recognize common patterns, faults, presumptions, and states of mind in your opponents that will inform your standard model. I mentioned the projection bias in the previous chapter—the tendency to impute one’s own perceptions and tendencies on other people. Of course, you are no exception to this bias. Every standard model that you produce will be biased to be more like yourself. Where you don’t clearly and distinctly see otherwise, you will tend to think that people make the same sorts of mistakes that you do, think about spots the same way you do, process gameflow the same way that you do, and so on. Every standard model that a player produces will be, in some way, in his own image. In spots that are highly non-central, this bias is amplified, since in non-central and rare spots you don’t have a wealth of empirical data to counteract this bias. The only real way to fight this bias is to be aware of it, and to remain open to the idea that your opponents don’t always see poker the way that you do. I said before that the standard model is never completely abandoned. But you could also argue that any player has multiple standard models. That is, once you use the standard model after some hands, and notice that your opponent is fairly aggressive or fairly passive, you might swap out your standard model of the *average *player for your standard model of the aggressive player, or passive player, and so on, continually swapping models as your read becomes more and more nuanced, until you finally have a truly individual model of your opponent. Of course, each of these readymade models would still be subject to projection biases; so which metaphor you choose is mostly a matter of preference. The important point is that deconstructing and analyzing your opponent always begins from the standard model you’ve assigned for him, derived from your experience of the average player. To make a significant departure from our standard model and deconstruct our opponent, we must develop a robust theory of mind. We must learn to put ourselves in our opponent’s perspective, and to deduce how he sees the world. The first level of deconstructing our opponent begins with a psychological profile. A psychological profile is essentially a generalization about our opponent’s psychological tendencies. It points not to particular instances, but to overall patterns in his thinking and perception. For example, let’s say that your opponent, who you’ve been playing for a while, is raising the river in some spot where he can only represent a runner-runner straight. Say that we’ve never gotten into this spot with our opponent before, so we don’t have any hard data on what he’d do here. Because of that, are we forced to resort to our standard model here? Not at all—as poker players, we are able to make psychological inferences into spots we’ve never seen before (and we naturally do in a match). There are very tenuous profiles that more basic players use, like “he’s aggressive” or “he’s tight,” but we want to develop a more nuanced psychological profile. Risk-taking behavior is your opponent’s willingness to make plays that may fail. It can be generalized especially from your opponent’s likelihood to make risky bluffs. There are some bluffs which are universal and don’t particularly reflect on this dimension (such as 4-bet bluffing preflop, 3-barreling in obvious spots where you can’t have anything etc.). To discern this dimension, focus on spots where a bluff is not mandatory and is high-risk. If your opponent is consistently choosing to take risky bluff spots, or if he is consistently averse to them and most of his bluffs seem to have a pretty low risk threshold, then you can generalize this behavior to many kinds of risk-taking. You can also generalize this from risky, heroic, or creative plays in general. Players who are high on this dimension tend to make more “heroic” plays, riskier bluffs, FPSy plays, and at times, can care more about making “cool” plays than optimizing $EV. To extend to the mentions of tilt we discussed before, a player on hot tilt will tend to have increased risk-taking behavior, whereas a player on cold tilt will tend to have depressed risk-taking behavior. Also, players who are playing above their rolls will tend to have lower risk-taking behavior, which is why you are able to generally lean on and steal lots of pots from them, unless they are also concurrently on hot tilt. The second dimension, attitude toward complexity, is how your opponent perceives, and plays with complex lines in his game. By complex line, I mean a line that implies either a trap, or a hand that is not at the top of one’s range. The first type of complex line is one that for the hand you’re repping to make sense, you would’ve had to do something non-straightforward at some point in the hand, such as checking back in a weird place or betting smaller than expected. The other kind of complex line is when you take an intentionally weaker line to rep a medium or low strength hand, as we discussed briefly in Chapter Two. Attitude toward complexity then, is a measure of how your opponent perceives those complex lines. Most medium-level players tend to over-believe complex lines, precisely because they do not appear as obviously as straightforward bluff lines, and are scarcely practiced at lower stakes. In higher level games, interspersing lines of various complexity becomes much more common, and the dynamic of varying line complexity becomes dense, mature, and nuanced. At lower stakes, however, generally you will find that opponents tend to either over-believe or under-believe lines of high complexity—a psychological tendency which can be generalized to the rest of their game. Also note that over-believing or under-believing lines of high complexity tends to be correlated with the belief that people are generally intelligent (under-believers), or that people are not very intelligent (over-believers). The former is likely the kind of player who is going to level himself frequently, convincing himself that people are doing all sorts of things that they aren’t. We’ll discuss leveling in the next section. Image and momentum sensitivity is, just as it sounds, how aware and how reactive that person is of their image and of the momentum of the match. For example, somebody who is highly sensitive to image will tighten up significantly after losing a big pot (since he thinks you will infer that he’s likely to start tilting and trying to get even). Somebody who is less sensitive to image and momentum will be more likely to continue to play aggressively after losing a big pot, either because he’s unaware or not paying attention to his image, or because he thinks that you know he’s aware of his own image and therefore does not need to react naïvely to it. Finally, attachment to investment is a measure of how much he gets attached to investments he’s already made. Somebody who has a high attachment toward investment is going to have trouble folding strong hands even when the board changes; is going to pre-decide whether he’s going to bluff in spots, and is less reactive of discouraging information; and is more likely to engage in loss-chasing behavior over a match. This person will often get attached to the belief that “they deserve” a pot, and will end up making questionable plays to try to claim it. Generally speaking, this is a dimension upon which better and more emotionally robust players will be low, and bad and tilty players will be high. As a note, players who are playing above their rolls will tend to have high attachment to investment, even though they have low risk-taking behavior. That is, even though they will be overly cautious among the spots they choose, when they do choose a spot they will overcommit to pots they invest in, due to how valuable each individual pot becomes to them. This means that generally, once an under-rolled player shows interest in a pot, you should be much more cautious to bluff. By observing each of these psychological dimensions in your opponent, you can more effectively generalize to a spot that you have never seen before. For example, say you know your opponent is risk-prone, over-believes complexity, is insensitive to image, and highly attached to investments. If you see him shoves a river trying to represent a runner runner straight after losing a big pot, then you can make a few inferences. First, he’s willing to try risky plays, second, that he likely doesn’t think you’re terribly intelligent, third, that he’s not likely to tighten up or react appropriately immediately after losing a big pot, and fourth, that he gets attached to pots and doesn’t give them up easily. Even though this shove might be an abnormal bluffing spot for your standard model, the inferences from our psychological profile suggest to us that this is a spot where we can reasonably make a call against such an opponent. Before we can go any further in our analysis of mental models, however, there is one important concept that we have to explore—and that is leveling. There is probably no word in the poker vocabulary that is more misused, misappropriated, and misunderstood than leveling. People use “leveling” to justify all sorts of plays, and to explain away all sorts of phenomena. In poker culture, it has effectively evolved into a colloquialism for “playing a trick.” The word has become so widely used and distorted, that in order to make sense of leveling, we must define it and its limitations very clearly. Part of the reason why leveling is so misunderstood is because of the linguistic implications of the word. When we talk about “levels,” as someone being on a “higher” or “lower level,” the concept has a distinct verticality to it. You might imagine that someone who’s on a lower level as being on the ground, someone on a higher level as being in the sky, and even higher than that, a level above the clouds, and so on and on, like the rising layers of the atmosphere. It’s not explicitly stated this way, but this is the metaphorical implication from way the word is used. We imagine great poker players as playing on such fantastically “high levels” that it would be impossible for us to fathom what was going on between them so high up. But what is a level exactly? Let’s be obvious here. When we choose one “level,” what we’re really choosing is one action, or strategy. When our opponent tries to counter our strategy, the level “above that” is what counters their counterstrategy. The level “above that” is the strategy that counters their counterstrategy against our counterstrategy. And above that? Actually, there is nothing above that. Let’s take an example. Say a drawy board runs out flat, like 4h9h7c2c 2d. There were tons of draws on this board, but they’ve now missed. Now, if our opponent has the initiative and has been betting every street, and he’s shown us that he’s fairly risk-prone and investment-attached opponent, then we can say level 1 is for us to call our bluffcatchers, since we expect him to bet here. If our opponent is aware of our perception, he may think we’re going to make that inference, so he might counter what he expects our adjustment to be by not bluffing at all. If we preempt this counter by instead calling none of our bluffcatchers, then we can call that level 2. Now, say that he expects us to make this high-level counter, so he switches back to the original strategy to counter this change. That’s his level 3, and our level 3 would be to revert back to calling all of our bluffcatchers as well. You can see here that level 3 and level 1 are actually identical strategies. But what’s the difference? The difference is in terms of ability. It is generally the case that players who play on level 1 will rarely deviate from their level, or play the leveling game with any frequency at all. Level 1 play is also typified by the fact that it is the play that most bad players make, and requires the least amount of awareness. Level 2 play is of course defined as a counterstrategy to the level 1 play, which makes it the first level adjustment (i.e., the level 2 play exploits a static standard model opponent), but using a level 2 play doesn’t necessarily imply a flexibility of switching between levels. A level 2 player will often stay on level 2, consistently exploiting a level 1 player. So when we say a play is level 3, really what we mean is that it’s a self-aware level 1, or a masterful level 1. It is someone resorting to the level 1 play, but with the flexibility and knowledge to be able to switch between different levels as the adjustment game requires. And above that? It makes no sense to talk about a level above level 3. This is a silly idea invented by people who don’t understand how adjustment games work. As you can see, theoretically speaking there are only two levels, but we choose arbitrarily to define a first level as the level for people who cannot participate in the leveling game. But to say that somebody is making a “level 5” play is meaningless. You see, as level 3 is simply a repetition of a level 1 strategy, level 4 is a repetition of level 2 strategy, level 5 is another level 1, and so on. What really happens at level 3 is that begins a free-flow of gameplay through the level 1 and level 2 adjustment. A “level 1 player” might never or rarely adjust, and a level 2 player might be said to exploit a level 1 player, and perhaps make a few jerky adjustments, but a level 3 player is fluid, aware, and masterful of how to detect and transition in and out of levels as necessary. In a high-level match, what you will see is interplay between these two levels. Above all, it is important to know that the leveling game ends. It does not rise into the air, ascending into infinitely higher and higher levels, forever unattainable. It is limited, conquerable, a small arena when you see it clearly. There is nothing special about a high level player such that you are unable to play the leveling game with him, on his “level.” Once you attain a basic level of mastery, and the arena will be open to you, the very same as it is to the strongest of players. In essence, the leveling game is a guessing game, like rock-paper-scissors. One guesses what level one’s opponent will choose, and makes the proper adjustment to that guess. Thus, it is very similar to gameflow. If we define gameflow as the pattern of different plays, and skill in gameflow to be able to read and predict that pattern, then we can call leveling the pattern of counterstrategies, and skill in leveling to be the ability to predict what pattern of counterstrategies your opponent will choose over time. But there are only some spots that we call “leveling spots.” Note that we don’t talk about getting leveled in every spot where we make a losing play. We say “he leveled me” only in certain situations. Why is this? Generally speaking, there are two kinds of mistakes in poker. Mistakes of valuation and mistakes of psychology. Valuation is your ability to evaluate the optimal play from a static structure. Mistakes of valuation are therefore choosing suboptimal strategies despite already having all the information. Mistakes of psychology on the other hand are mistakes of incorrectly predicting information which is not already available. A mistake of valuation is generally a failure of your poker theory. You have not accurately evaluated the ranges, combinatorials, odds, or whatever in making your decision—but importantly, all of the information is available to make the correct decision. A mistake of psychology on the other hand is one in which we need to infer more information to make a decision against our opponent, and our inference is poor. This is generally characteristic of a “leveling” spot. So if you end up 4-bet/calling off ATo against somebody who’s not shoving that wide, then we would call that a mistake of valuation. But if someone shoves a river on a dry board when your hand is fairly obvious, and you call and he has it, we would call that a mistake of psychology, or getting leveled. When we make a claim of an FPSy player that he “leveled himself,” we now have a vocabulary to state more exactly what that means. To level yourself is to mistake a leveling situation for a non-leveling situation, or to mistake a properly valuational spot for a psychological spot. I.e., usually what you mean when you say “you leveled yourself” is that the right play was obvious, but you somehow convinced yourself to do the opposite, more psychologically complex play. The correct way to view and solve the situation was using valuational analysis and frequencies (“his bluffing frequency is high in this spot, so I’ll call”), but you incorrectly tried to splice the hand into a singular leveling moment, and face it with your psychological brunt, resulting in an incorrect play. In essence, a leveling spot must not only be psychological—it must be binary. You don’t say his frequency leveled you, or how his overall strategy leveled you. When we talk about leveling, we are necessarily taking a reductionistic view of poker. We frame the hand as atomic and momentary, and his decision as either X or Y. I will explore this in more detail at the end of this chapter. For now, let us take leveling for what it is, and use it to probe the next stage of player psychology, which is modeling our opponent’s strategic perception. So we’ve developed a psychological profile of our opponent, indicating some of the big patterns in his thinking, and we’ve looked at how leveling works. But to really be able to predict someone’s behavior, we need to really be able to put ourselves into his head, and to see poker through his eyes. This takes more than understanding his large-scale patterns or biases. We need to reconstitute his perception as well, which means we need to know all of the idiosyncrasies of the way he sees the world. This leads us to the next element of opponent modeling, which is modeling our opponent’s strategic perception. Strategic perception is simply the sum total of how your opponent evaluates various boards, situations, and so on for their strategic potential. You need to figure out—where does your opponent think are good spots to bluff? To valuebet? To raise, to fold, and so on? This is different from a psychological profile, which functions using generalizations; we want instead to use very precise empirical methods in reconstituting our opponent’s strategic perceptions. This is where observation skills become chiefly important, to ensure that no valuable information is thrown away unwittingly. There are two main elements of strategic perception: board texture perception and game flow perception. Board texture perception is how your opponent perceives board textures, and the relative weight of each new card to that board. For example, how bad does he think c-betting air is on Js9s5c? Js8s2c? 9s5s2c? How good of a barreling turn card on Qc8s4d does he think Kd is? Ace? Ten? Four? In reality, there is an objective value to each of these cards and each of these boards in their viability for bluffs or semibluffs. By doing enough math, you could rank each of these in terms of how good they are to bluff in a vacuum. The problem is that everybody learns poker in a different way, and nobody’s poker perception is ever perfectly calibrated with mathematics or objective reality. Some people put more or less weight on certain cards, some people are more likely to think they have more fold equity on certain sorts of turns than others, and other people think they always get called in certain spots so they won’t bluff. In order to reconstruct your opponent’s board texture perception, you must pay close attention to which sorts of flops, turns, and rivers he likes to attack, and how perceptive he is (or how much faith he has) in various bluffing and semibluffing situations. Moreover, more basic players tend to have what we might call primitive board texture perception. They tend to be unaware of implied semibluffing or bluffing opportunities in repping hands that they don’t have, and will overvalue boards of the highcard-flat-flat nature, such as A58r or K55r. They will very rarely consider the possibility of repping turned flush draws or straight draws, or the viability of their hand to turn semibluffing opportunities, and so on. Of course, in every aspect of evaluating your opponent’s strategic perception, you have to think about the second level—how he perceives your perception. In order to be attuned to this you must always pay attention to what hands have been shown down, what sort of turns you’ve attacked thus far against your opponent, and which ones you’ve given up on. This is never a fully precise art, but a good player will always have some idea of what sort of boards he’s been attacking and what sorts of boards he’s been going easy on. As a match progresses and history builds up, it’s essential that you engage in adjustment games on these grounds—on cards where you think that your image thus far is that you are unlikely to bluff, you must raise your bluffing frequency, and on cards where you’ve been getting called down often or have shown frequent bluffs or semibluffs, you must slow down and lower your bluffing frequency. Adjustments like these go a long way toward creating edges in a match. The third level then, is thinking about how your opponent thinks about how you perceive his strategic perception. That’s a mouthful, but it simply means that he’s going to be adjusting based on his own image—that is, to think on the third level is to track your opponent’s adjustments to his board texture tendencies. You should be thinking about what boards you’ve called down on, where he’s failed the most often in bluffing you out of the pot and so is most likely to adjust down, and where you’ve folded in a lot of spots and so where he is most likely to adjust up. It’s important to evaluate all of these with respect to what we might call the equilibrium of semibluffs, which simply means to think about how a person’s frequency is adjusting relative to a standard frequency of semibluffs, against which one need not make any big adjustments or stray from a likewise equilibrium of standard calldowns. The difficulty in poker is being able to identify these true adjustments and spots where your opponent is likely to adjust, and delineating them from the chaos of poker—that is, randomness. Your opponent will sometimes get a lot of hands on certain board textures and when you assume he’s adjusting positively, instead he is just lucky and getting a lot of hands. Being able to identify these is a difficult art, and overadjusting or underadjusting to these incorrectly perceived adjustments is probably the most common sort of mistake that great players will make. But on the whole, a big part of being able to read an opponent’s likeliness of adjustment goes back to the theory of mind—being able to see how mature and intelligent a player is, how perceptive his mind is in other spots throughout his game, and his overall psychological tendencies, will give you some idea of how likely he is to actually perceive a spot as a point of gameplay and make a good adjustment or never adjust at all. So the second aspect of strategic perception is game flow perception, which simply refers to his perception of various game flow variations. I.e., how does he tend to interpret two bluffs in a row? How does he think you’ll interpret two bluffs in a row? After you make a big bluff, does he tend to perceive the next big pot as less likely to be bluff? Again, this boils down in large part to your opponent’s standard model of poker players, and also to his own projection bias—however he tends to perceive those game flow variations, he will often expect other people to perceive them as well. One must pay attention to both of these elements of one’s opponent, and over enough time and with close analysis, you will ideally be able to reconstitute how he perceives poker, and use it to predict his strategic decisions. So we’ve looked now at a number of levels at which we can analyze our opponent’s poker mind, but there is one last concept that I consider of some importance, which is not analyzed much. It’s known most commonly as comfort zone. Delineating a player’s comfort zone, unlike the empirical analysis of his frequencies, or overall psychological generalizations about his thinking—figuring out a player’s comfort zone is more of an artistic task. To figure out a player’s poker comfort zone is to figure out what a player feels about certain situations, or what they like to do within the field of poker. That is to say, there are certain bluffs that simply feel* wrong to your opponent, and others that feel *right. There are certain styles, strategies, or situations that your opponent enjoys and others that he does not. Trying to reconstruct how your opponent feels about various bluffing and valuebetting situations is intricately nuanced, and oftentimes difficult to communicate exactly. As you explore the psychology of a player and start to really understand him, you are likely to see that there are certain bluffing situations which he consistently won’t take, even if it seems that with his understanding of poker he should know that’s a good spot to bluff. This is an instance of comfort zone getting in the way of a player’s strategy. Comfort zone of course is inversely correlated with centrality—the more non-central something is for a player, the more it’s likely to be outside of his comfort zone. But comfort zones tend to have more to do with certain moves of logic or ways of conceiving of a hand that a player is resistant to. For example, some players will be mentally resistant to certain kinds of thin value bets, to bluffing with certain kinds of hands, to trying to bluff their opponents off hands of a certain strength, or even to make a certain sequence of bluffs in a game flow sequence, and so on. Even if the situation calls for it, and they would be an otherwise capable enough player to determine those things, a small comfort zone may cause a competent player to forego making the optimal play. It is thus essential to see if you can see any patterns in specific bluffs (generally, basic ones) that seem to either give your opponent trouble, or which he resists making. From this, you can derive an idea of what sorts of plays or theoretical moves with which he feels uncomfortable. For now it will do to mention comfort zones for other players, but in the chapter on creativity and fear we will explore this phenomenon internally, and examine how to deal with it on an individual basis. There can be said to be three kinds of bluffs in poker—fundamentally strong bluffs, gameflow bluffs, and comfort zone bluffs. A fundamentally strong bluff is to bluff somewhere where your opponent doesn’t have a lot of hands and you do, and therefore can’t do much with his range, even if he knows you’re bluffing sometimes. A gameflow bluff is a bluff based on your perception that, at this time in gameflow, your opponent wouldn’t put you on a bluff (such as perhaps betting twice in a row, he might usually assume your second bet is incidental value). A comfort zone bluff is a bluff where your opponent might have the hands with which to make a call, and gameflow might not be in your favor, but you have the read that your opponent’s un-comfortableness will impede him from making such a call. By having a good idea of what makes our opponent uncomfortable, we can better choose spots and bluff more effectively. Of course, in reality, bluffs aren’t neatly divided between these three categories. Most real bluffs will work on multiple levels, or may work well on a couple levels and not as well on the third, and so on. These are merely, in a sense, the three primary modes for where the strength of bluffs are derived. From here we can arrive at a final maxim of bluffing. Bluffing is the science of knowing where to bluff, and the art of knowing when your opponent likes to fold. The science of knowing where to bluff is what we discussed in Chapter Two—attacking the structurally weaker parts of your opponent’s game, i.e. making fundamentally strong bluffs. It is the strategist in you, who studies a blueprint of a fort and plans your assault. The art of knowing when he likes to fold is the psychological game—knowing his mental tendencies, his comfort zone, and a grasp on the rhythm of gameflow, which allows you to time your bluff when he is likely to believe it and fold to you; i.e., gameflow and comfort zone bluffs. This is the matador in you, the deadly artist, attuned to your senses and the rhythm of action, pulling back the cape at the precise moment. Any excellent bluffer is therefore effective in both the science and the art of bluffing. We have spoken much of mental models and tools of psychology, but so far we haven’t mentioned how we acquire information to begin with. That might seem like a simplistic question, but there’s more to the matter than first appears. Not only do we need to gather information, but we need to sift the noise out of the information we receive, and then interpret that information by integrating it into our mental models. The process begins with the gathering of information. When I speak of gathering information of course, I mean something more active than merely playing poker and letting stuff happen for you to react to. Think of information gathering as the art of selective attention. Human beings, by our imperfect nature, will always miss things; some information will always slip through the cracks of our fingers. Our attention and perception are limited. Because of that, we must make a decision as to which elements of a poker match to perceive and focus on, and which to cull from our awareness. Information gathering, then, is also the process of filtering what’s important and significant out of all the events in a poker match. We will speak of stats and their great importance shortly, which play a big role in information gathering and processing. People are often inclined to believe that there’s something special about high level players that makes them especially able to notice, interpret, and utilize the information available to them. That their eyes are somehow more vigilant, more piercing, that perhaps they have some congenital ability to survey and catalogue the details of a poker match better than the rest of us. This is nonsense. If there’s one thing I want to do through this book, it is to dispel any idea in your head that there’s something “special” about high level players. There’s nothing of the sort. If high level players can notice tendencies quicker, more accurately, and interpret them better into usable models, it is for two main reasons: first, because of the enormous amount of experience they have had in the realm of psychological model-building, which has optimized their usage and updating of mental models; second and importantly, because they have had so much experience, much of the surface-level phenomena of a poker game are relegated to their unconscious mind, leaving their conscious mind free (and some of their unconscious mind as well) to focus on the psychological game. In other words, it’s not that expert poker players “are able to focus on more” or “have more focus,” but simply that because they have had so much experience, they are able to spend their conscious focus on other problems. This opens up their conscious attention to pick up on subtle tells, patterns, and valuable pieces of information that a weaker player might never be able to notice. But I hear you insist, other than gain more experience, what actionable things can you do to actually improve your observation skills? Though skills of observation are largely contingent on brute experience, there are a few things you can do actively to try to improve. The first thing you can do to improve your observational skill is to focus. This might seem too obvious to be worth stating, but remember, that being focused can be something you can do, not simply something you are. Certainly, sometimes you will be playing especially focused without having to think about it, or making any conscious effort to be focused. But if I were you, I would not be satisfied with letting my focus as a poker player be decided merely by my internal mental weather. By reminding yourself to focus on your opponent, where your conscious mind might be either inactive (in auto-pilot), or thinking about something else, you will call back yourself back to your opponent. Focus! Remember to focus, and remember that focusing can be something you do, and not something you are. When you are observing your opponent, try to pay attention to every spot, and consciously try to generalize what that spot tells you about his play in general. That is, look at specifics, and try to see how they fit into the overall pattern of his strategy or tendencies. Again, this does not happen automatically—or if it does, it does so very weakly. Force yourself to actively and thoroughly process all of the information you’re receiving—to notice it, interpret it, and update your mental model of your opponent. One of the best ways to do this is by talking through it (either aloud, or in your head). For example, if you see someone is checking back lots of draws on the turn, tell yourself “he is checking back lots of draws on this turn, which means he’s fairly risk-averse, he’s not semi-bluffing much, his range is strongly weighted toward value, I should be willing to put him on draws by the river,” and so on. By doing this consciously, you are imprinting each of these ideas more powerfully on your mind, making it more likely that you will notice, remember, and act in accordance with these observations. After a certain point—or rather, continually—you should be mentally trying to re-figure your perception of your opponent’s psychological profile. The more conscious and evidence-based this is, the more you will be able you will be to overcome natural cognitive biases, such as the projection bias, the strength of first impressions, and so on. Rather than “I think he’s risk-prone,” think instead “I think he’s risk prone because he did X, Y, Z.” By engaging in this process continually, your psychological profiling will become more accurate and objective. I will discuss self-talk in more detail in a later chapter, as it’s a very important part of the experience of playing poker well and thoughtfully. Another important element of observation when playing online is note-taking. The art of note-taking is highly subjective, and different things work for different people. For the most part, it doesn’t matter how you note-take. But what is important is that you take notes consistently, often, and that you use your notes effectively. Ideally, your notes should be doing one of these three things: 1) noting a significant event in your history, such as “he called down XYZ with bottom pair”, 2) note a psychological read, such as “likes to bluff twice in a row,” or 3) a note to yourself on how you want to adjust against him, such as “next time you get a flush, bet small because he likes to raise small bets.” Remember, the value of notes is not just in pulling them up and reading them when you feel lost or have forgotten your reads during a big hand. A large part of the reason why note-taking is so valuable is because it strengthens our mental impressions in the first place and makes them easier to remember. It doesn’t matter if you never check your notes; the process of continually taking notes will make you remember your reads better, longer, more subconsciously, and the mere habit of note-taking will make your conscious mind more engaged and attentive to things worth taking notes on. Perhaps you’ve noticed that many great players seem to have tremendous observational skills, but often are unable to articulate “how they know” what they know about their opponent. If you press them—how did you make that read? How were you able to so pre-empt his moves? How did you know how this guy thinks? They will shrug their shoulders, and say that they just do. Again, there is nothing special about these players—nor are they idiot-savants. They simply have relegated most of their observation skills to their subconscious mind rather than their conscious mind. Their automatic brain has been trained into evaluating, synthesizing, and reconstructing their opponents, continuously and very accurately. I will have more to say on this in the chapter on cognition and self-awareness, but as respectable as it is to be able to have excellent subconscious observation skills, it’s not something that you can actively improve or rely upon. You have no control over your subconscious conception of your opponent, other than by focusing your attention upon him. Beyond that, you must use all of the conscious skills at your disposal to break down your opponent—by self-talk, actively exploring and reformulating his theory of mind, taking notes actively, deliberately working through your sequence of thoughts. If you do this often and consistently enough, slowly over time this process will become automated in your unconscious mind as well. Make poker, then, about your opponent. Be subsumed in him. Be present alongside him. Watch him, learn from him, prod him and interrogate him for his every strength and weakness, his beliefs and his loves and his fears—and soon you will be able to predict his thoughts, his actions, and then, with a bit of luck, to rise one step above him. In the end, there is no greater feeling in poker than mastery over an opponent. One of the biggest revolutions in the theory and understanding of poker has come from the introduction of HUDs and comprehensive stats into online poker. Whether you think on the whole they are good or bad for poker, the fact remains that they have changed the way that we conceptualize and interact with the game. If you are playing online, HUDs are an indispensable tool. Let us look then at stats, how to utilize them in exploiting our opponents, and in playing the adjustment game. Of course, though I speak as though HUDs and stats are synonymous—they aren’t. Stats are the concrete, mathematical way of representing frequencies and tendencies in poker; HUDS are merely the common way to display them. Although stats were never explicitly accessible in the days before HUDs existed, stats always nevertheless existed. Without HUDs they were simply apprehended less accurately, subject to more potential sway by cognitive biases, with more chance for losing or warping information due to inattention or failure of memory. This is not to mention that bare perception is inherently inaccurate at perceiving frequencies (the mind is not very good at dealing with large numbers, or precise ratios, so somebody with a 7% and a 10% frequency might seem the same to your bare intuition, they actually may mean markedly different things about somebody’s range). When we don’t have stats, the only way you can perceive anything like frequencies, opening ranges, and so is through your intuitive impressions, along with a few showdowns. One of the great powers then of stats is that they allow us to overcome inherent cognitive biases when it comes to perceiving our opponents. We have been trained through our experience in poker that even if we think somebody is really aggressive or loose, if his stats say he is not, then we trust the stats over our own intuition (since single, salient events tend to influence our intuition more than they should). In live poker, intuition and observation is the only way to gather information with which to play the adjustment game. But again, even in live poker, stats exist; they are simply not explicitly accessible. It is unimportant whether your conception of stats comes from a HUD or your intuition about how aggressive somebody’s been at a live table—adjustments based on stats are effective due to the structure of poker itself. First, a word regarding adjustment schemas—adjustment schemas are codified ways in which a player exploits or reacts to certain stats. Each person can have a different adjustment schema that he uses, and there is often more than one way to exploit something, but our adjustment schema is oursystem of exploiting and making sense of stats that we employ. I will be showing you in this section a basic adjustment schema for some of the most vital stats, but how you construct your own adjustment schema may depend on your particular style, or preferences. We always want to conceptualize the adjustment game as beginning from preflop, and moving forward street by street. Preflop, there are a few main stats of importance—VPIP (voluntarily put money in the pot), PFR (preflop raise), 3-bet, fold to 3-bet, and 4-bet. Note, all of these stats should be interpreted with respect to your standard model, which is generally going to be around the average. Slight deviations from the standard model are mostly irrelevant, so when I say somebody is “too loose” or “too tight,” what I mean is that they deviate significantly from your standard model (technically, it should mean they’re deviating from optimal frequencies, but due to the evolutionary principle, they are effectively going to be centered near to your standard model). If somebody is too loose preflop with VPIP and PFR: in a shorthanded game, there are a few ways we can exploit this. We can either 3-bet him frequently, or call him more in position and put pressure on him postflop, or both. In heads up, an opponent having a high VPIP or PFR on the button is normal and not particularly exploitable, but if they have a high VPIP from out of position, then you can exploit this by simply betting a lot on flops and turns (chances are, there is little you need to do to exploit them if they’re doing this, since they’ll be hemorrhaging money to you by folding too many flops). If they are loose and attacking lots of flops, then it may be better for you to tighten up your open range, but you must always apply pressure on flops and turns. If somebody is too tight preflop with VPIP and PFR: generally speaking, this is beaten more passively. Against somebody who’s very tight, you’re simply winning more pots than he is, and that will show up in the long run. In the meanwhile, just play accordingly tight, fold more of the hands you’d call to looser raisers, and respect his flop bets more. If somebody has too high of a 3-bet: in a shorthanded game, again, we can either 4-bet him more liberally, or start calling him more often in position, or both. Note, however, that 4-betting him more often is an inherent counter, but calling him is an implied counter, meaning that it’s possible that if you do not follow through on a proper exploitative strategy, calling him a lot in position will just lose you more money if you play passively. In order for an implied counter to be effective, you must incorporate every element of the counter, which in the case of calling 3-bets, involves floating bets in position, raising flops, and calling down more medium strength hands. In heads up the answer is essentially the same, but with the caveat that this specific adjustment game is much more important in heads up games, since 3-bet pots are a much bigger proportion of the hands played in a heads up match. If somebody has too low of a 3-bet: against this case, simply fold to their 3-bets and give them more respect. By playing a normal strategy where you are 3-betting often, you’re simply accruing edges that he isn’t. If somebody has too high of a fold to 3-bet: of course, 3-bet this person often. If somebody has too low of a fold to 3-bet: the best adjustment to this tends to be contingent on how passive this person is postflop. If they are highly capable, floaty, and aggressive postflop, then it is often best simply to tighten up 3-bets. But if they are more passive, then it is fine to continue to 3-bet a normal or even wider than normal range against this person, and simply take down lots of pots with flop c-bets. Against weak or passive players who fold too little to 3-bets, taking down undue 3-bet pots is one of the biggest edges you are going to have in a match. If somebody 4-bets too much: the adjustment to this is contingent on whether or not he’s actually 4-bet/calling a wider range. Some players will simply 4-bet a higher frequency without widening their 4-bet/calling range to include weaker hands like AJ or AT, medium pairs, etc—if this is the case, then simply 5-betting wider is the ideal adjustment. If your opponent is widening his 4-bet/calling range, then calling more 4-bets and facing off postflop becomes a better adjustment. 5-betting is the inherent adjustment, and calling 4-bets is an implied adjustment. And of course, if somebody is 4-betting you a great deal then it’s best to depress your 3-betting frequency until he relents. If somebody 4-bets too little: 3-bet to your heart’s content. Next, let’s look at primary flop stats—continuation bet, checkraise, and fold to checkraise, and fold to bet (OOP). If somebody c-bets too frequently: against a frequent c-bettor, the first adjustment is to checkraise more often, the second adjustment is to call them with weaker hands (ace highs, low pairs, etc. ), and the third adjustment is to float them more often. Obviously, floating is always an implied adjustment, and must be done intelligently for it to be effective. However, unlike what some players seem to believe, leading a wider range OOP is not a counter to a high c-betting frequency. An OOP leading range does not actually counter anything, other than somebody who is really bad at dealing with OOP leads (which is great, but is more along the lines of experimentation than adjustment games), it simply circumvents the c-betting game by creating a different dynamic. While I have nothing against OOP leading, if you are OOP leading in response to frequent c-bettors, then you are mistaking an adjustment for circumvention, and there is a good chance you might increase your EV by simply letting him c-bet, and exploiting it. If somebody c-bets too infrequently: this can be tricky. In some cases, if the player is very good, then there’s not a lot that you can do to exploit this, since he will be well balanced and intelligent in the way he arranges and uses his handrange on the flop and turn. But against a weaker player, you will automatically exploit his passivity by simply winning far more pots than him in position. Respect this player’s c-bets and checkraise him less. Against this kind of player, I more strongly encourage OOP leading—note, not because it exploits infrequent c-betting, but because his passive strategy indicates a risk-averse psychological profile. Therefore, if you’re pumping up pots and implying that he’ll have to face more aggression against you, it is possible that he may play very poorly and not put enough pressure on OOP leads. If somebody checkraises too frequently: against a frequent checkraiser, you’re going to want to lower your flop c-bet frequency by checking back more weak hands (both air and vulnerable pair type hands), 3-betting his checkraises more often with both value and bluffs, and floating some of his checkraises. Floating is the implied counter, so you must play aggressively on the turn as well, or double float if necessary. If somebody checkraises too infrequently: this can be tricky—you have to see what particular style this is paired with. If somebody is checkraising infrequently and calling a lot, that means that he is floating you a lot out of position, and calling lots of high card hands. Against this, you can simply increase your turn and river barreling frequency. If he is checkraising infrequently but simply folding a normal or slightly less than normal amount, then it’s likely that he’s slowplaying more strong hands that most players would be checkraising with, so be wary of that on the turn. If he’s checkraising infrequently and folding often, then he’s just burning his own money, so you don’t need to do anything other than keep c-betting a lot. If somebody folds to checkraises too frequently: Checkraise him a lot. Easy. If somebody folds to checkraises too infrequently: Checkraise him tighter, weight your range with value hands, and barrel more turns and rivers, since he’s going to be floating you more or simply calling you down lighter. Against a passive player who is going to fold flimsy hands under pressure easily, you may even keep an elevated checkraising range if he’s simply spewing money by folding lots of turns with bottom pairs or things like that. If somebody folds to bets OOP too frequently: Bet a lot OOP with bluffs. If somebody folds to bets OOP too infrequently: Don’t bet much OOP without hands. Now, as hands move into the turn and river, they get more complex, and more interconnections develop between different stages of a hand (i.e., how is he playing his draws to get here? What sorts of hands was he using to bluff with on the flop? Where is he allocating most of his value hands?). In short, one must use a holistic analysis of handranges, and figuring out what hands your opponent can and can’t have based on the overall structure of his game. But the principles as suggested in preflop and flop play, remain largely the same. I’ve outlined a basic hierarchy of important stats by which to interpret the adjustment game, but before we move on, let us meditate briefly on the adjustment game and its implications. What, after all, is the adjustment game? If you think about it, the adjustment game is simply the name we give to the shifting of frequencies, the way that strategies ebb and flow, wax and wane in reaction to one another. It is the strategic weather, the continually changing winds of exploitation. But there is an element of poker that escapes the adjustment game. Recall how in the discussion about holism and reductionism in gameflow, we talked about how a frequency could be understood as one whole large-scale strategy, but also could be atomized, sub-divided into infinitesimal, discrete parts. Can we say the same of the adjustment game? The adjustment game works a little differently. There are certainly some parts of the adjustment game which hinge solely on stats, and on large-scale strategy. That is, there are certain spots where we feel like we can say for sure that we are making a range-based decision. A range-based decision is one that is justified solely by large-scale reasoning. For example, say that after c-betting, you pick up a flush draw on the turn. This is a spot where semibluffing the turn is not a complex decision that hinges on psychology, or getting into your opponent’s head, or trying to outthink him. This bet is relegated to purely stats-based, or range-based justification. You simply bet here because he’ll fold enough, and you’ll make enough hands on the river, and so on. Psychology never comes into it. When you start looking for such spots, you might find that the vast majority of poker is comprised of them. There are even some spots where to make a big call on the river, or to make a big bluff doesn’t really ever congeal into a “psychological moment,” but you merely make them because you can mathematically justify it. But what happens when you cannot? What of the times when your range-based abstractions aren’t enough? When you truly don’t know what’s going to happen? Recall the diagram of the circle of centrality. Part of your job as a poker player is to figure out the circle he has drawn, and then to step outside of it. Encircle him, such that the only way he can adjust to your strategy, the only way he can make the right play, is by doing something that he doesn’t think he can do. To break the circle of his understanding, his skill, his comfort. After all, another way of saying that certain plays are outside of your opponent’s comfort zone, is to say that they are plays that he genuinely doesn’t see as options. His schema of poker precludes him from doing those things. Figuring out, then, how your opponent’s poker schema is limiting him is integral to maximally exploiting him in the psychological game. In short, if you push him somewhere where he’s not willing to go, he will not follow you. I call this momentous aggression. Momentous aggression is not merely being aggressive, or raising and betting a lot. It is not a matter of frequency. It is more than that. A range-based decision is fighting with your range, constructing an optimal frequency, finding a holistic solution to the problem you face. But a momentous decision is a fixed, reductionistic event. It is to decide that your opponent has one hand. One state of mind. It is to try to completely, in this hand, outplay him. Where range-based decision says his bluffing frequency is high enough that I can justify a call, a momentous decision says—my opponent is choosing either level 2 or level 3, and I choose 2, because I think that’s the right one. The further out of the circle of centrality you push your opponent, the more momentous your aggression is likely to become. Where non-central spots require reductionistic thinking, spots with high centrality are more likely to recruit holistic thinking. 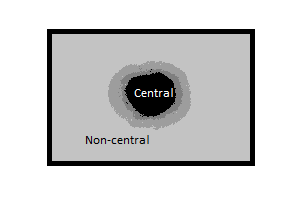 This is in part because non-central spots are processed more slowly and deliberately, and therefore require more conscious thought, and there is much less empirical data to begin with regarding non-central spots, with which to make logical inferences. You could say that the reductionistic approach is thinking from hand-to-hand, but that’s something of an oversimplification. To play a hand reductionistically is in a more philosophical sense, to face the moment as singular, rather than merely a cog in a larger system. It is to stop everything else, to arrest the gears of the mind, and to resolve the problem in one fell motion. You must think reductionistically when the spot you face is big enough, deep enough, and non-central enough. It is no longer enough to say “this is exploitable,” or “I can choose a better spot,” or “I have some better hands here so I don’t have to do anything with a hand this weak.” Excuses fall short. Your opponent has forced you to a decision from which you cannot step aside. Of course, it may be a decision for all your chips, but it’s more than that. It’s creating a situation where your decision cannot be relegated to range-based justifications. Aggressive players may force you to play lots of large pots, but a great player will force you to make decisions with the full resolve of your mind. He will put the force of your poker game behind every big call and big fold that you make. When you play a great player, you will feel as though you’re not allowed to make a mistake. You’re not allowed to run or turn away from a decision. Every clash is a test. Every punch must either be absorbed or countered. There is no room to run. It is a species of aggression that is more ferocious than trying to win a lot of pots. Some aggressive low or mid-stakes players may be annoyingly tenacious, but this can be dispatched easily with some large-scale adjustments. Momentous aggression is different. The aggression you see at high stakes is aggression that plants seeds of fear into your mind. What does he have? What does he think I’m going to do? The world telescopes into one ponderous moment, and the action is on you. This is why I call it momentous aggression—momentous aggression culminates in those big, time-frozen, everything-happening-at-once moments. This is the nature of aggressive high level play. This concludes of our analysis of our opponents’ psychology. 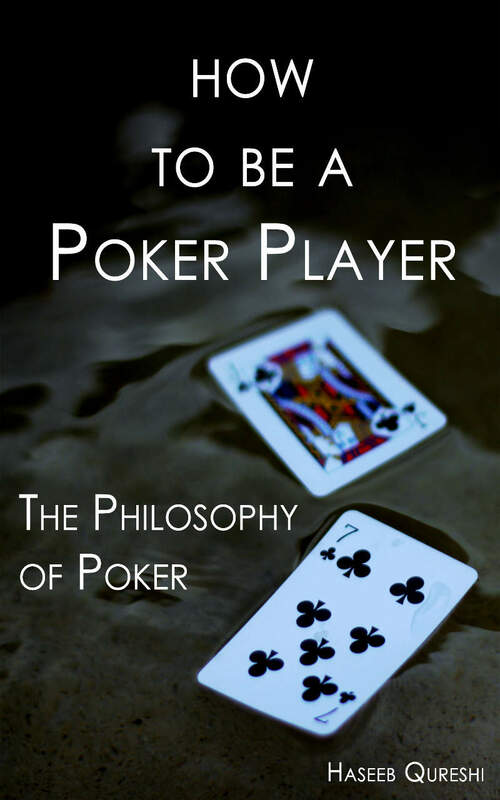 But in continuing our exploration of the philosophy of poker, psychology must now turn inwards, to analyzing ourselves and the way our own minds function. Next, we will look at cognition and self-awareness as it relates to the experience of thinking about, and playing poker, and understanding the way our own minds function. Thanks for reading! Leave a comment, and let me know what you thought, or if you have any criticisms, suggestions, and so on.